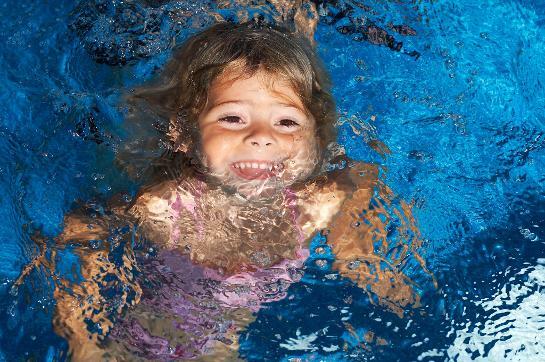 We are a small family run swim school operating in and around Andover, Hampshire. We run lessons for ALL ages and abilities. Class sizes are small, usually six in a class, perhaps stretching to seven if we are accommodating a sibling swimming at the same time in an adjacent lesson. We have a friendly team. All our teachers are A.S.A qualified and we hold a fully comprehensive and up to date insurance policy (up to £1 million) which is endorsed by the A.S.A. and provided by the Institute of Swimming Teachers and Coaches (ISTC). We have valid lifesaving qualifications and regularly meet together and with other swimming organisations to discuss methods and practices. Some of our teachers actually learnt to swim with us & have come up through the swim school, worked as Pool Helpers and went on to do their full qualifications. All of us hold up to date DBS checks. Carrie Nightingale is the owner, one of the teachers & main administrator. As a mum she spotting a gap in the market for well structured lessons that children love and can build inconfidence quickly. Click the button above to join our lessons!